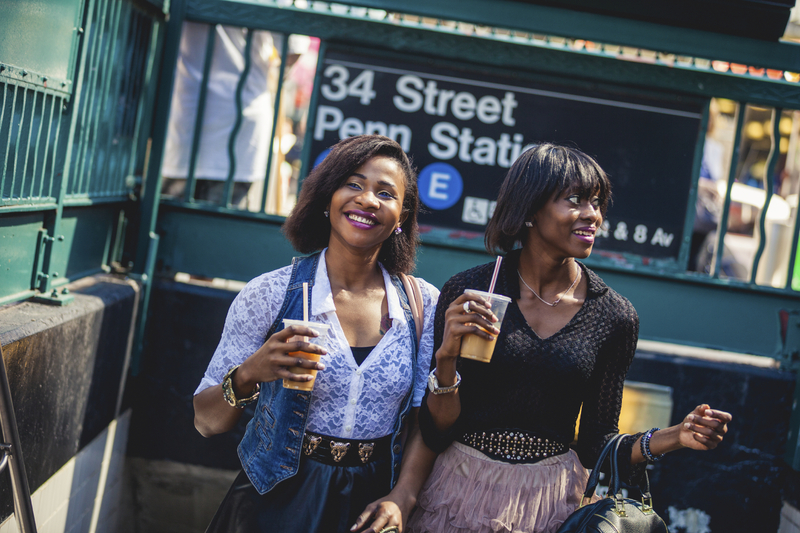 So, you've graduated from college, and are ready try your hand at life in New York City. First, congratulations! Now, brace yourself: The process of moving to NYC and locking down a rental is about infinity times a million harder than renting an off-campus apartment. Let's get this one out of the way: It takes a lot to qualify financially for a standard rental apartment in NYC. The bar is set higher than perhaps any other city. 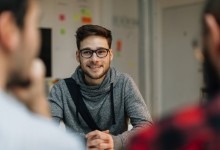 If you or your roommates don't collectively meet these qualifications, you might need to get what's known as a guarantor—a financially stable party (usually a parent) who guarantees to the landlord that they will pay the rent if you don't or can't. In addition to the rest of the requirements about credit score and income, guarantors are usually required to have an income of at least 80 times the rent, and many landlords insist that they live within the tri-state area (New York, New Jersey or Connecticut) and are therefore easier to collect money from if things go south. If you don't have someone who's willing or able to act as a guarantor (or if one qualifying parent is reluctant to act as the guarantor for all the tenants of the apartment—in other words, you and your roommates), there are services that, for a fee, will act as guarantors, such as Insurent (FYI, a Brick sponsor). "The vast majority of people moving to New York do not have a qualified guarantor, and a lot of parents don't want to be legally on the hook," says Insurent managing director Charles Schoneau, whose firm requires that renters make 27.5 times the rent (versus the landlord's 40-times requirement) to qualify. 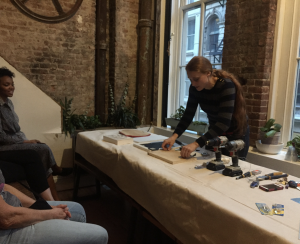 Need help finding the perfect starter apartment in the right neighborhood--or a landlord inclined to be flexible about guarantors, work history, rental history, or "flexing" your space with temporary walls? Place your search into the capable hands of Triplemint, a tech-savvy real estate brokerage founded by a pair of Yale grads in response to the frustrating apartment-search experiences of classmates and colleagues. Bonus: The agents at Triplemint are not only a delight to deal with, they will charge a broker's fee of 10 percent of a year's rent on open listings instead of the usual 12 to 15 percent if you sign up here. If none of these solutions is an option, consider looking for a sublet or a room in someone else's apartment as opposed to taking out a brand new lease yourself. Or, if possible, throw cash at the problem. Unless you're starting a lucrative banking gig right out of college (lucky you), chances are you'll be looking to live with roommates. As a post-grad in the city, this can help you ease into a social routine, and more importantly, save on rent. 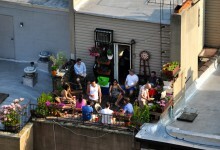 "The more roommates you have, the lower the cost will be per person," says Kathleen LaMagna, an agent with Bohemia Realty, which has helped many college grads rent their first abode in budget-friendlier Upper Manhattan. "But you'll need to have some tough conversations before you start your search. It's important that everybody is on the same page. Otherwise it could potentially lead to the demise of the roommate situation." Even if you're friends, it's worth asking each other certain lifestyle questions to see if you're truly compatible as roomies (these queries are a good place to start), and hashing out how much you're willing to spend (and what their exact employment situation is), your desired neighborhoods, and what your potential dealbreakers might be (a super-long walk from the subway? an apartment without a dishwasher?). And if you're not renting with friends, these websites are a good place to start your search for reliable potential connections. Roomies will also affect your guarantor situation. "Parents think that when they sign on as a guarantor it's like a dorm situation, where they're just guaranteeing their child's portion of the cost," says LaMagna. "But the truth is that when you sign on as a guarantor you sign on to guarantee the entirety of the lease." Some—but not all—landlords are willing to take multiple guarantors, which can help even out the risk, and pooling funds together to pay for a single institutional guarantor (see above) can be a good solution. If you plan to use guarantors, you and your roommates should have a frank discussion with everyone involved about what the financial responsibility will be, and how much everyone is willing to take on. And if you decide to leave the apartment before the lease is up, for goodness sakes, do whatever you need to do to get your name off the lease, or you'll wind up legally and financially responsible for an apartment you no longer live in. And while it's always smart to get your own renter's insurance policy, you'll also need to discuss with roommates who has coverage, and if necessary, whether or not to add one another onto one person's policy—more details on that process here via Gotham Brokerage (full disclosure, also a Brick sponsor). Tempting though it may be, your apartment hunt isn't a process you can start too far in advance. New York is a relatively last-minute market, and most landlords don't list available apartments until around a month before they'd be rented out. You can start browsing listings early to get a sense of what's out there and what neighborhoods you can afford, but don't expect to find your future apartment any earlier than a month in advance. 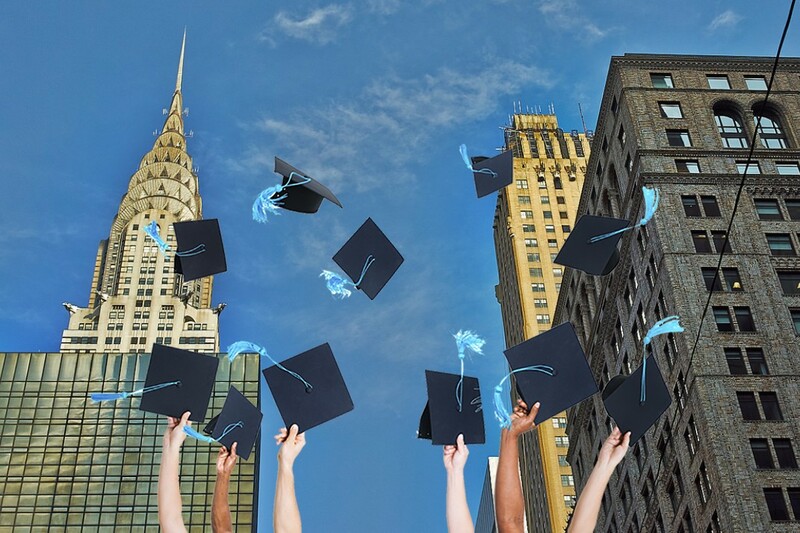 "Generally, I always tell college grads to start looking about 30 to 45 days before they need to move," says Elliman's Moye. "So if you need a place by June 1st, start in mid-April." As you start your search online, one big thing to keep in mind is that many apartments come with a broker's fee attached, even if you found them through a listing and not explicitly with the help of a broker. The standard broker's fee is between 12 to 15 percent of the entire year's rent, and if you'd like to avoid shelling out, there are a number of places online to look where you can filter your search to specify no-fee or low-fee apartments—these eight search sites are a good place to start looking. It's also worth seeking out word of mouth from college message boards, social media, and the like. If you're able to pay the fee, however, you might want to consider working with a specific broker to help find the right place for you. This can give you a leg up, especially since you're new to the city; brokers know the NYC market well, and can tailor the search to your specific needs and budget, as well as help you put together a successful application. You may be wondering how you will actually rent an apartment before you even get here. While it's theoretically possible to do it remotely, we do not recommended it. Among other reasons, there is simply no substitute for seeing an apartment in real life, especially in NYC, where photos are exceptionally, and often deliberately, deceiving. If you go to school somewhere that's a relatively quick commute from NYC, you can start coming in on the weekends, as many soon-to-be-graduates tend to do. Many students start taking day trips between finals and graduation to come see apartments. Barring that, you'll want to plan to spend a week or two in an Airbnb, hotel, or on a friend's couch while you look. And don't be daunted by the short timeline—it'll take work, but finding an apartment within the span of single weekend is not only possible, but common. And if you're looking with roommates, don't try to divide and conquer with apartment viewings. "Both roommates should come in at the same time," says Melaine Lessey, a broker with LL Real Estate Services. "You don’t want to have one roommate coming in, securing an apartment, and then it turns out the other one doesn’t like it." Almost as much as the apartment itself, the neighborhood you end up in can make or break your experience as a New Yorker. Again, this is a good place to tap into your social networks, and any alumni you may know who've already moved here—ask around about what neighborhoods people live in, and how they like them. "I recommend that graduates decide which train they need to be close to," says Moye. "What's most convenient for work, grad school, whatever they decide to do. Figure out the easiest way to get to where you need to go—so for instance, don't move to the Upper East Side if you know you'll be working in Chelsea." Unless money is no object, pricing will also likely play a big role in where you end up moving, so start cruising listings in your price range and take note if the majority of them seem to be popping up in the same few neighborhoods over and over again. "Do your research online, then spend a good day going to different neighborhoods you think you might be interested to see how you feel in each space," says LaMagna. "Everybody gravitates towards different things." Besides transportation, take in factors like how populous the street tends to be, if there are grocery stores, drug stores, delis, restaurants, etc., nearby, and what the nightlife scene is like. (More tips on vetting a neighborhood here.) For stats on things like crime, pests, and general cleanliness, it also doesn't hurt to do some online research, both for the neighborhood in general and the building in particular. And while every renter will be looking for something a little different—and have different needs as far as their commute—here's a list of neighborhoods that might work for fresh-out-of-college renters in each borough. Unsurprisingly given their strict requirements, landlords will expect you to hand over a lot of paperwork when it comes time to apply for an apartment. There's a full list of required documents here, but generally, expect to need a copy of your photo ID; your two most recent pay stubs or, if you're just starting a job, a letter of employment; your last two years of tax returns; three months' worth of bank statements; proof of other funds like stocks, etc. ; and letters of reference, if you have them. 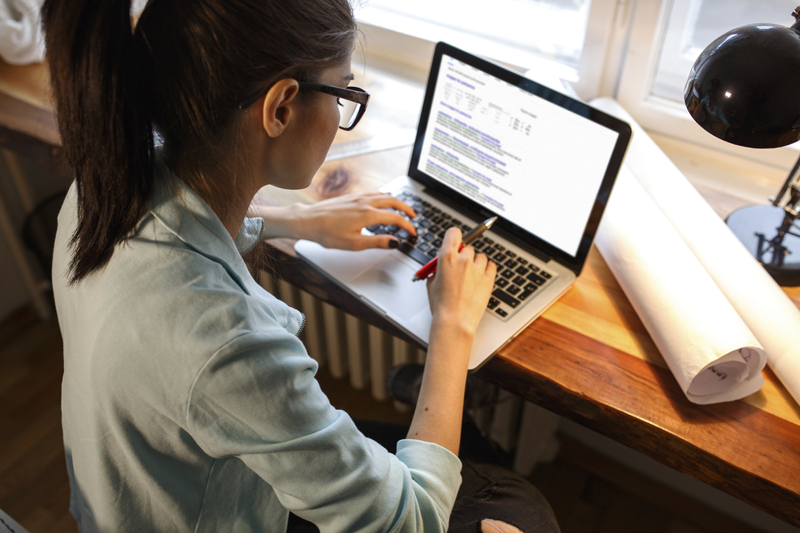 Keep in mind that your roommates will need to have all this information handy, too, as well any potential guarantors. "It's best to have all that paperwork assembled and ready to go before you even start your search," says LaMagna, as apartments move quickly, and you'll want to submit an application immediately if you see a place you like. (Even an hour's lag time can make a difference in this market, particularly in the summer, which is the busy season.) 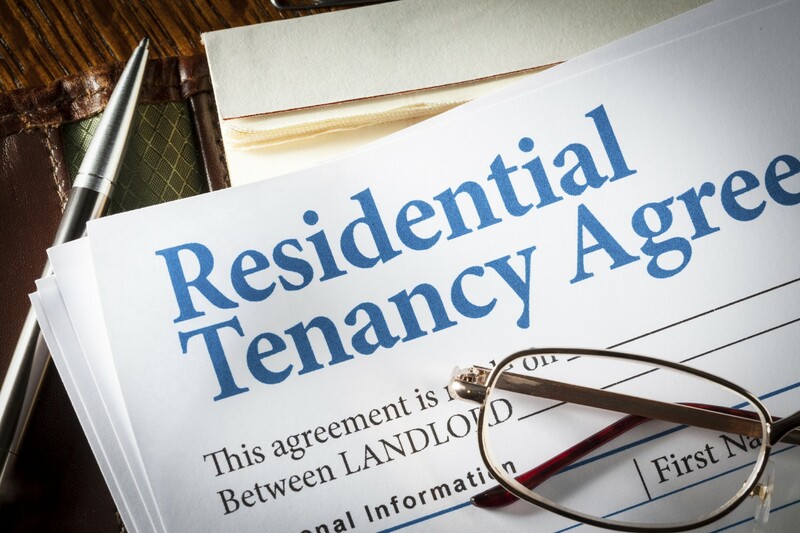 Typically, landlords will also charge a non-refundable application fee of between $50 to $200 per person. You'll also need to put up a large lump of cash up front—usually first month's rent, last month's rent, and a security deposit equivalent to one month's rent, all in the form of a cashier's check. "Most New York City landlords do not accept personal checks," says Moye. "It has to be a cashier's check, where the bank takes that money out of your account and prints it out on their check." Have that cash in your bank account and ready to be transferred so you can strike while the iron is hot. 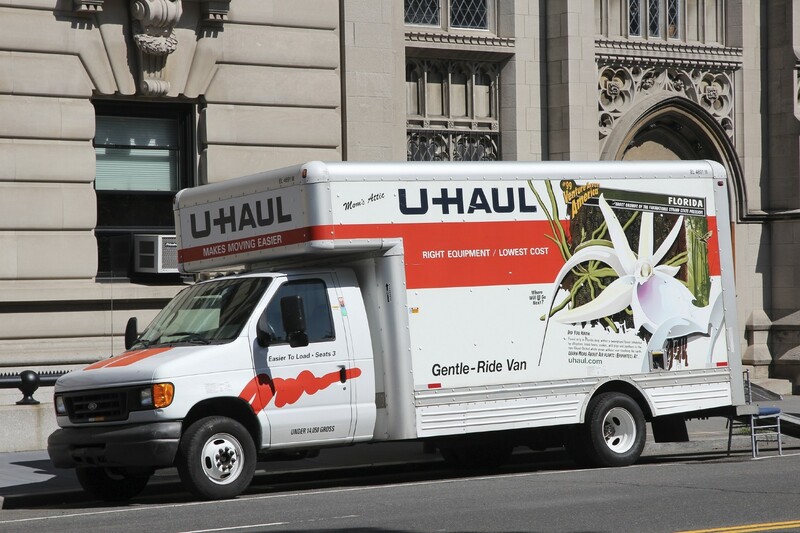 Once you've locked down your lease and have a moving date in mind, you'd do well to book movers or a UHaul in advance, as they tend to get all booked up at busy times—like the weekend before the 1st of the next month, when many leases start and lots of people are moving. (You can also generally get a lower rate if you book early). "If you're using movers to move you from another city, it's usually cheaper to hire someone from your origin city, rather than a New York-based company," adds Lang. And before you book, be sure to double-check to see if your new building has any particular move-in policies. For instance, sometimes elevator buildings will only allow move-ins during weekdays between 9 am and 5 pm, so as to minimize inconvenience for other tenants. And one last word to the wise: Moving scams have been known to happen in NYC, so if anyone asks you to pay for the entirety of the move up-front, find a different company. Also this: Welcome to New York!